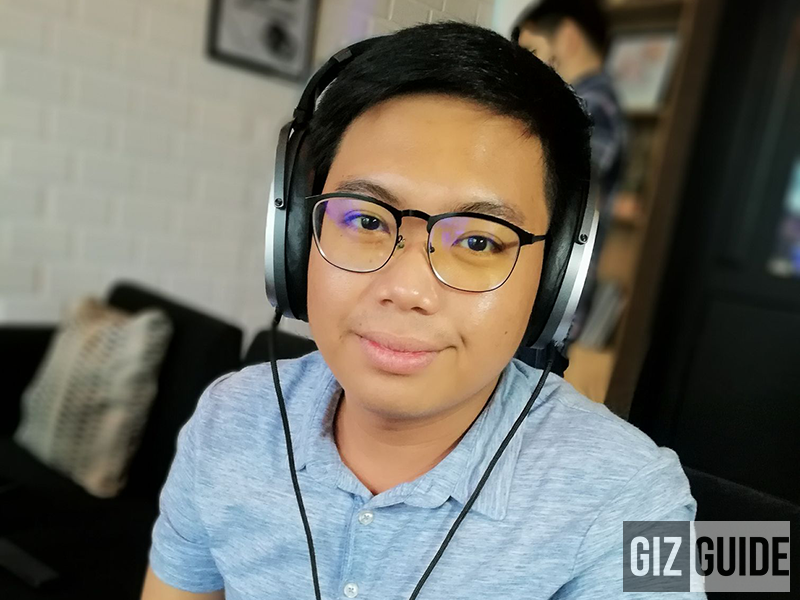 Yesterday, at the introduction of new Sennheiser products in the Philippines, the legendary German audio brand has also showcased the HE 1 headphones. The Sennheiser HE 1 is not your ordinary headphones. It's the upgrade of the legendary Orpheus HE 90/HEV 90 designed to produce the best audio experience for audiophiles and anyone who loves music at the comfort of their homes. It's a specially crafted audio system highlighting premium and functional high-end materials allover. The handcrafted HE 1 is made out of marble, gold, and leather. The system includes marble tube amp, specialized OFC balanced cable for zero noise, and the limited edition HE 1 headphones itself. The tube amp is made out of Carrara marble base from Italy w/ protective glass cover. It also has a cool feature where it opens up when you get the headphones. 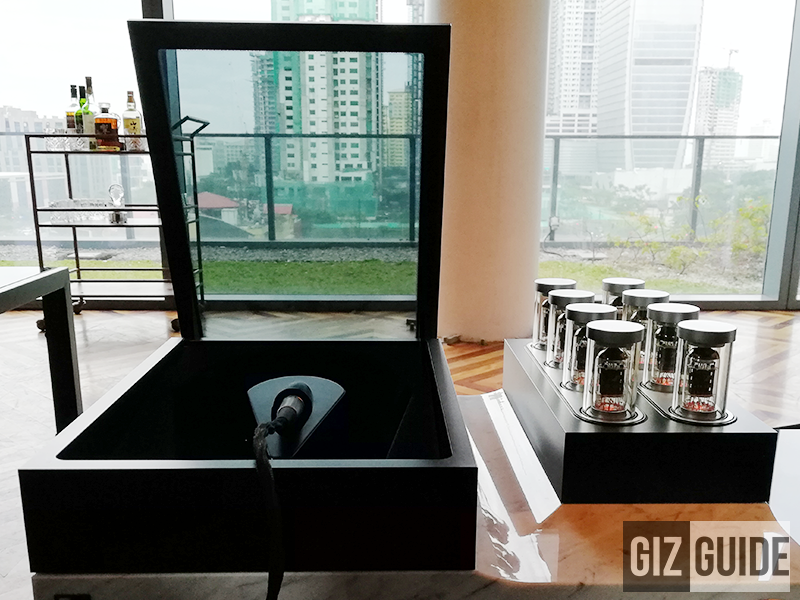 Sennheiser also highlighted its on and off button that controls the vaccum tubes to rise in and out of the marble base. It also has 8 internal ESS Sabre ES9018 DAC chips that converts audio to 32-bit/384KHz. Sennheiser also noted that the HE 1 is the first first electrostatic headphone with a Cool Class A MOS-FET high voltage amplifier integrated into the ear cups which eliminates apacitive reactance of the cable, delivering an ultra-high impulse fidelity 200% more efficient than any other solution currently available. It also has 2.4-micrometer platinum-vaporised diaphragms to deliver optimal sound reproduction and gold-vaporised ceramic transducers for the best acoustical performance. Sennheiser HE 1's ear cups are precision-machined using solid aluminum and the ear pads are handmade using the finest leather. It's velour/microfibre construction is soft and allergen-free as well. It has a frequency response of 8 - 100KHz w/ incredibly low distortion of 0.01% at 1 kHz and 100 dB SPL. This headphone is very analytical (technical), detailed, balanced, and well layered in sound. Soundstage is MASSIVE and definitely the widest I've ever HEARD yet. But, what made it special is the experience. The open sound coming out of it is truly life-like and full of emotions! Everything else is quite hard to explain, but, this is the best sounding headphones I've ever tried yet. Simply unreal and life changing in general. Listening to it is like a gift and a curse. Why? Every other headphones will sound bad after listening to the Sennheiser HE 1. 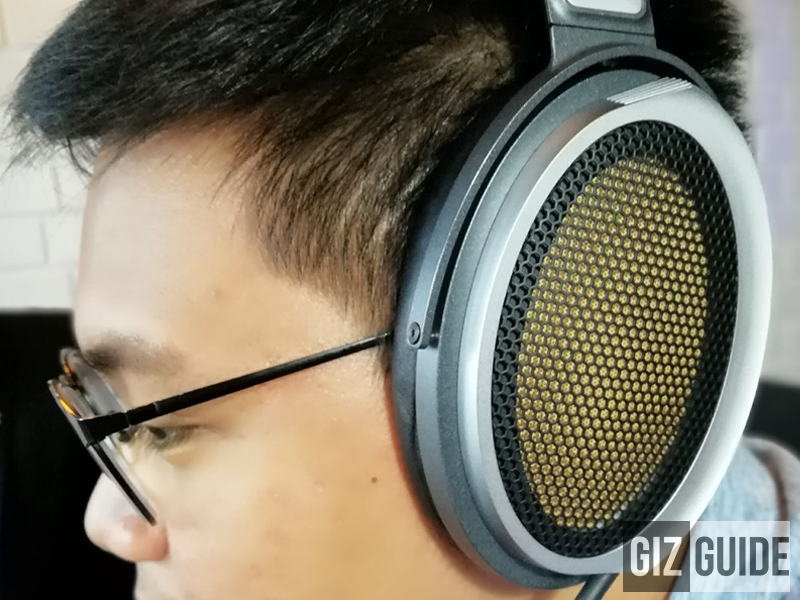 The Sennheiser HE 1 is priced at around PHP 3M. Only 300 units of this limited headphones was made. For more info, visit Sennheiser's website.